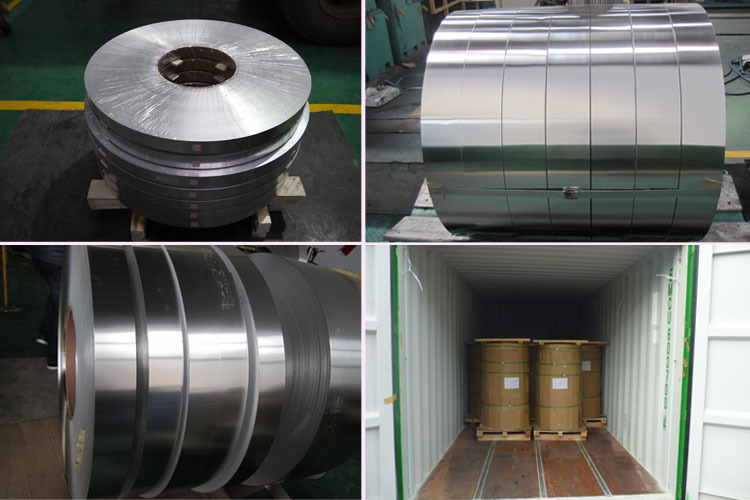 The main content of 5005 aluminum strip/coil is Fe, Mg and Si, thus, it has good weld-ability and resistance to correction (especially when anodized), which resulting in suitable for marine applications. 5005 aluminum strip/coil is also a non-heat treatable alloy and it can be strengthened (hardened) by cold working. However, hot working should not normally be necessary. Besides, it scores well in formability, especially in softer tempers. The machinability of 5005 aluminum strip/coil is generally fairly poor. 5005-H34 and 5003-H38 can be machined, but with much more difficult than many other aluminum alloys strip. 5005 Aluminum strip products of haomei . meet the export standard. Plastic film and brown paper can be covered at customers’ need. What’s more, wooden case or wooden pallet is adopted to protect products from damage during the delivery. There are two kinds of packaging, which is eye to wall or eye to sky. Customers can choose either of them for their convenience. Generally speaking, there are 2 tons in one package, and loading 18-22 tons in 1×20′ container, and 20-24 tons in 1×40′ container.